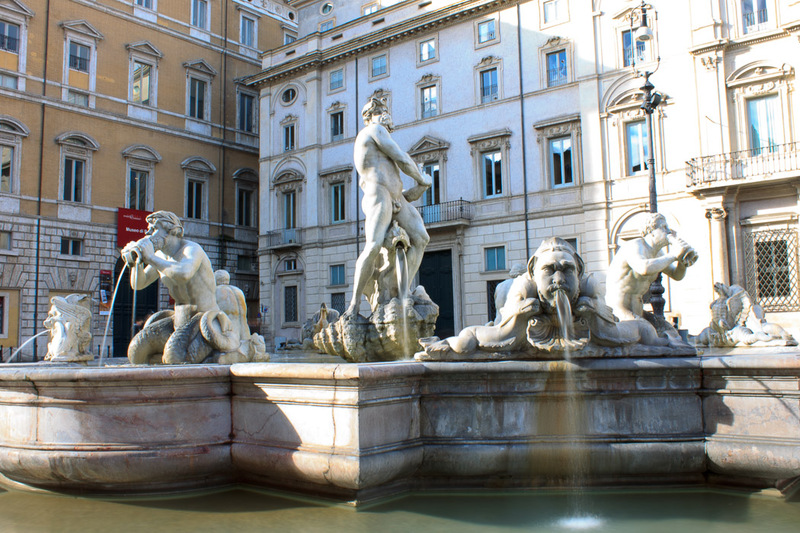 The Moor Fountain is located at the southern end of Piazza Navona, and shows a muscular Ethiopian standing in a conch shell wrestling with a dolphin and surrounded by four Tritons, all in a basin of antique rose-colored marble. 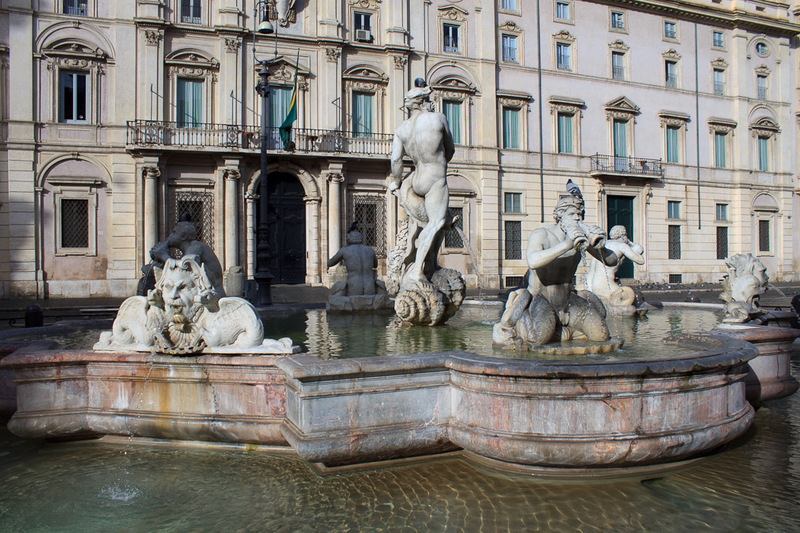 The fountain was originally designed by Giacomo della Porta in 1575 during the reign of Pope Gregory XIII Boncompagni, with the dolphin and four Tritons blowing water out through shells. 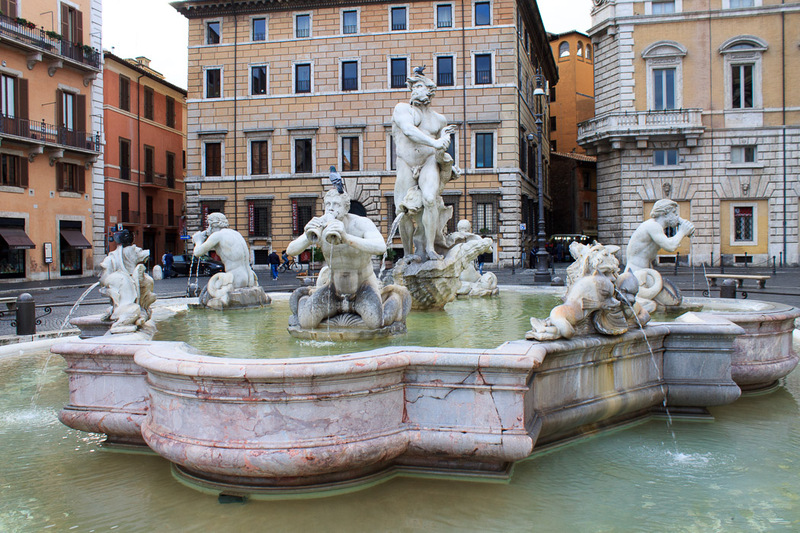 In 1653, Pope Innocent X Pamphilj asked Gian Lorenzo Bernini to add the statue of the Moor in the center. 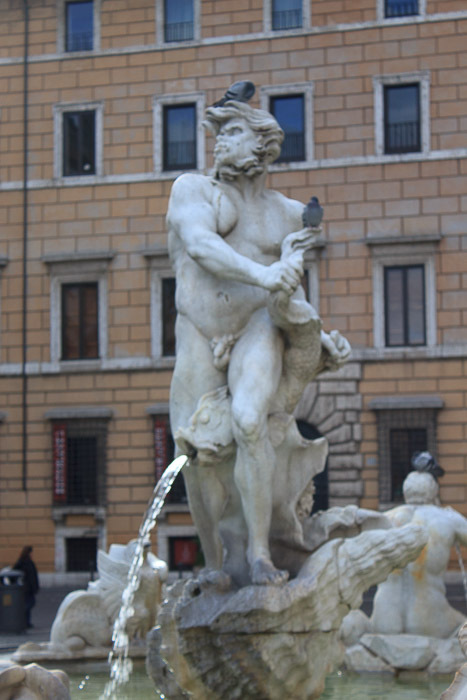 Bernini designed that sculpture, but it was actually sculpted by Giannantonio Mari. 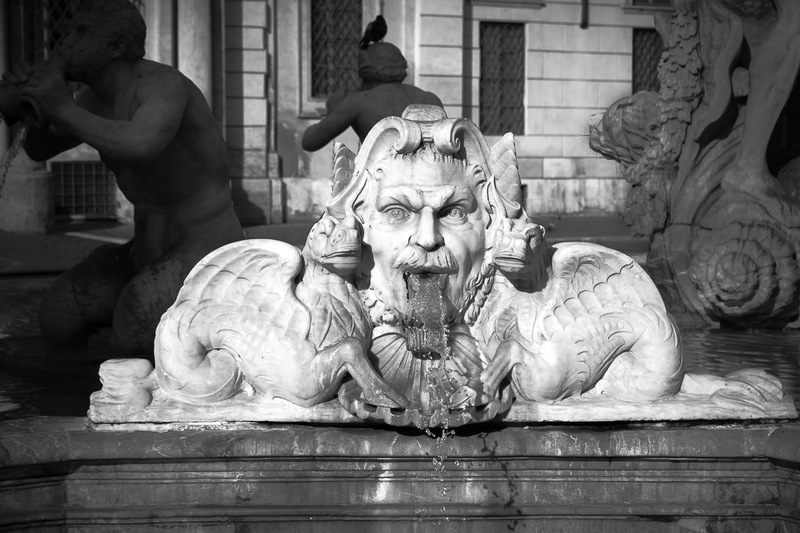 During a restoration of the fountain in 1874, the original statues were moved to a small square in Villa Borghese and replaced with copies made by Luigi Amici. On September 3, 2011, a vandal repeatedly hit one of the statues with a stone or a hammer, damaging one of its ears. See all Moor Fountain photos.